Spark and Burn anyone? 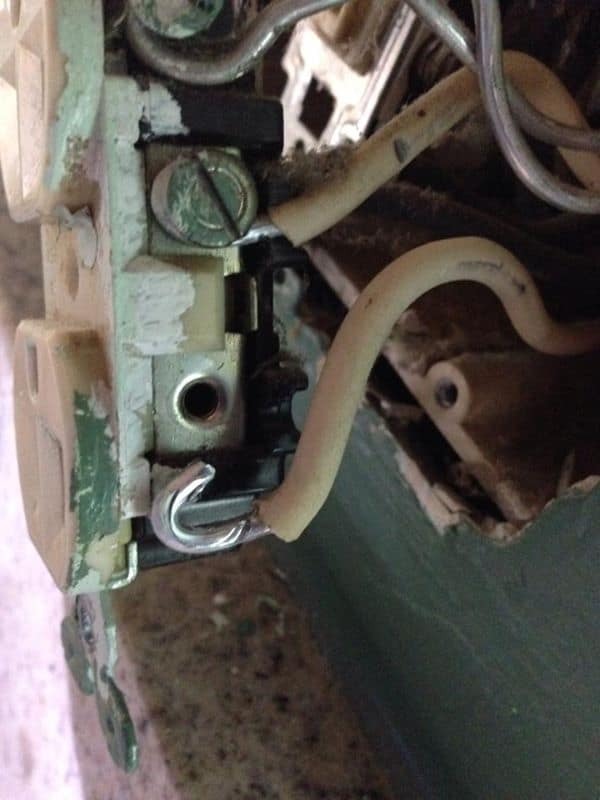 This is an example of a loose connection on a copper wiring system. This outlet was serving a computer strip in a Home Office. The Homeowner plugged a space heater into the wall placing a tremendous strain, via the high resistance load, on the outlet. The fact the screw was loose on the side simply compounded the problem. As the electrons flowed through the gap between the screws and the outlet it created tremendous heat that caused the melting of the outlet yoke. 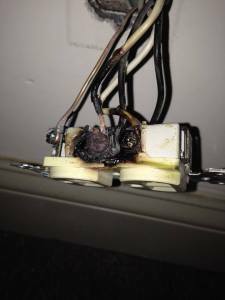 Thankfully the homeowner was in the room and smelled the “arcing”. She called us and we repaired the problem. ELECTRICITY CAN KILL DIRECTLY AND INDIRECTLY. Call for a full house inspection today! 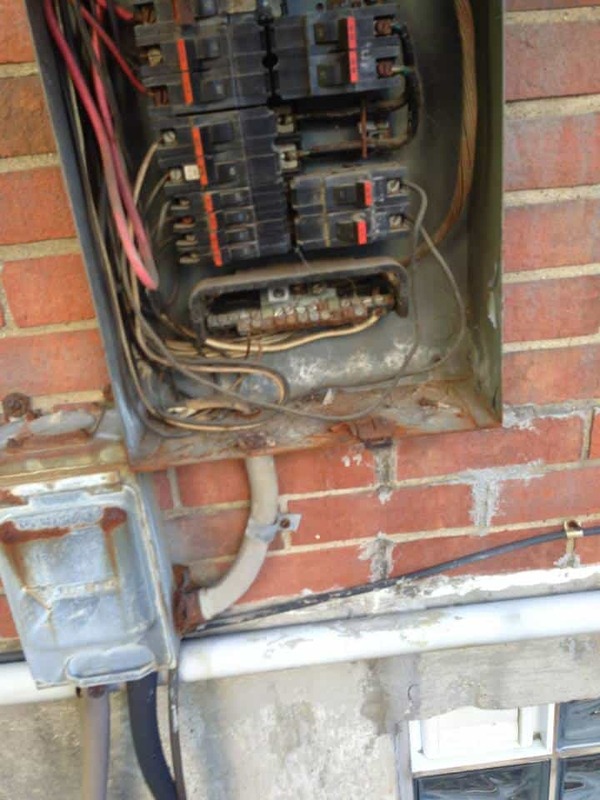 If you have breakers in your home that look like this or are labeled “Federal Pacific” please browse these pictures for important information. In my 30 years of experience in the field with the FPE Panels I have come to the conclusion that these panels are as dangerous as an improperly maintained Aluminum wiring system. If you have one of these panels in your home it is advised to replace it as soon as possible. We can get a modern panel installed in some cases for as little as $800.00. Our average cost for a service replacement is $1889.00 with Permits, Materials and Labor. 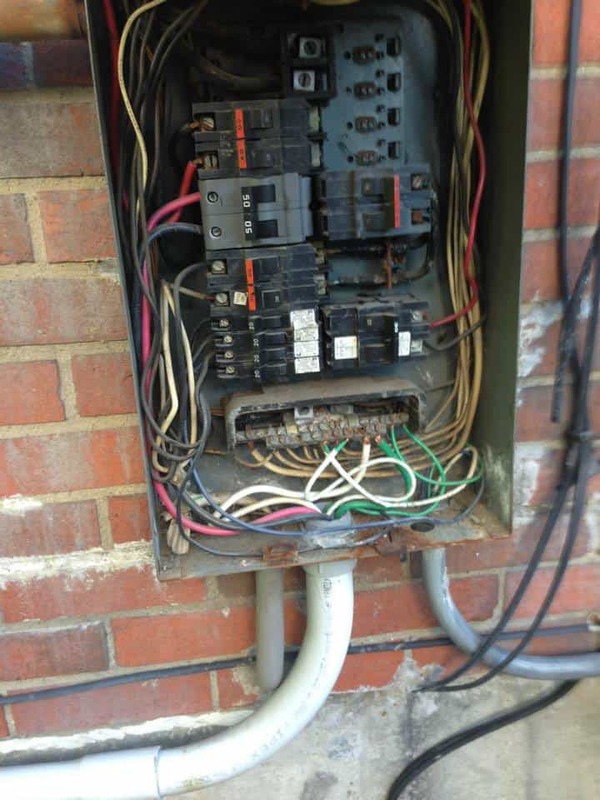 If your existing Aluminum wiring looks like this, you need to contact a certified electrical contractor to do an inspection. In the industry this is what’s known as a “tinderbox”. Lighting fixture wiring connected with Copper wires and AL branch circuit wires. Notice the pitting in these wires (the grooves in the shiny metal part of the wire). This is a serious condition especially if the wire has become “brittle”. 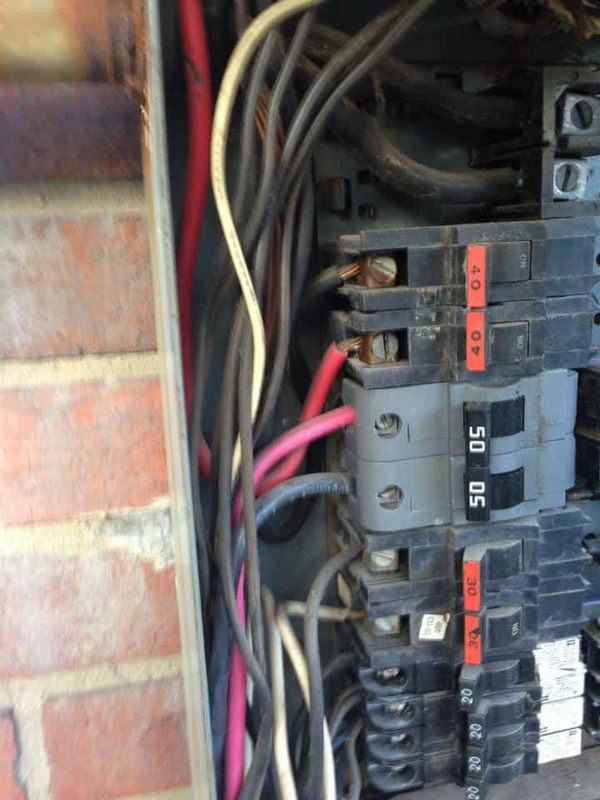 Call Cullen Electric today if you need this inspected in your home! We have been updating AL wiring systems for 30 years. Notice the pitting on the shiny part of the white wire? The deep grooves in it? That’s what happens over time as Aluminum wire breaks down in a process known as “oxidation”. As the metal oxidizes it becomes “pitted” and gaps form, at the termination points, between the wire and the screw. This “gap” causes resistance as the electrons try to “jump” across those gaps. That resistance causes heat which in turn causes fires. This is a SERIOUS condition and should be looked at by a professional. 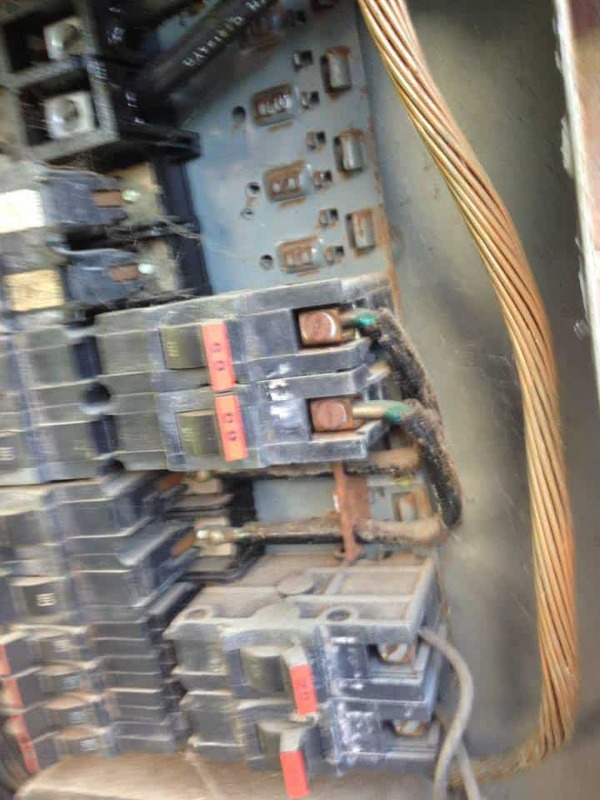 This condition occurs when untrained personnel work on AL wiring systems. They attach Copper wires with Aluminum wires without the proper connecting devices. The subsequent chemical reaction between the two leads to “pitting” between the metals. The electrons “jump” across the barrier, creating resistance. This resistance causes heat which will burn your home down. The wires under the black wire nut “melted” the wirenut. This homeowner was lucky the breaker opened before the had a full fledge fire. 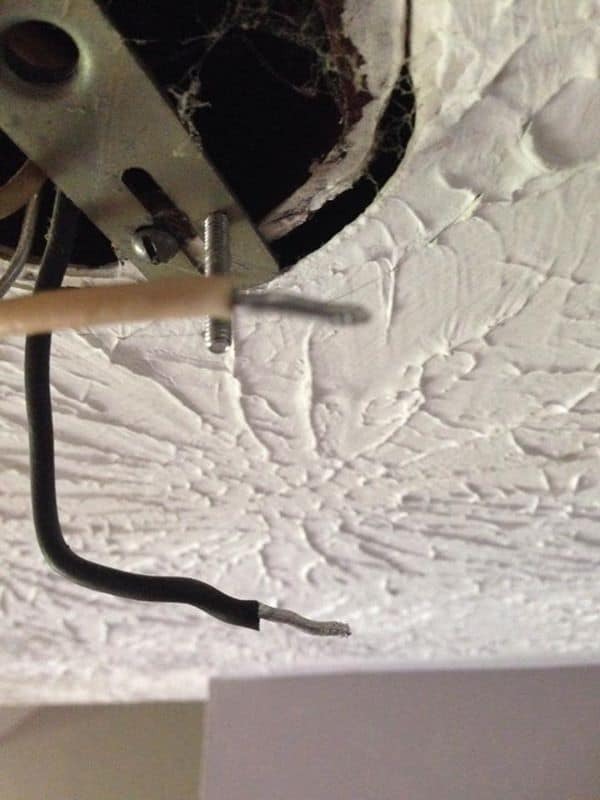 If you have AL wiring and someone who does not have the expertise to work on it…has….call a Pro IMMEDIATELY. Tired of your overhead electrical service getting knocked down every time the wind blows? 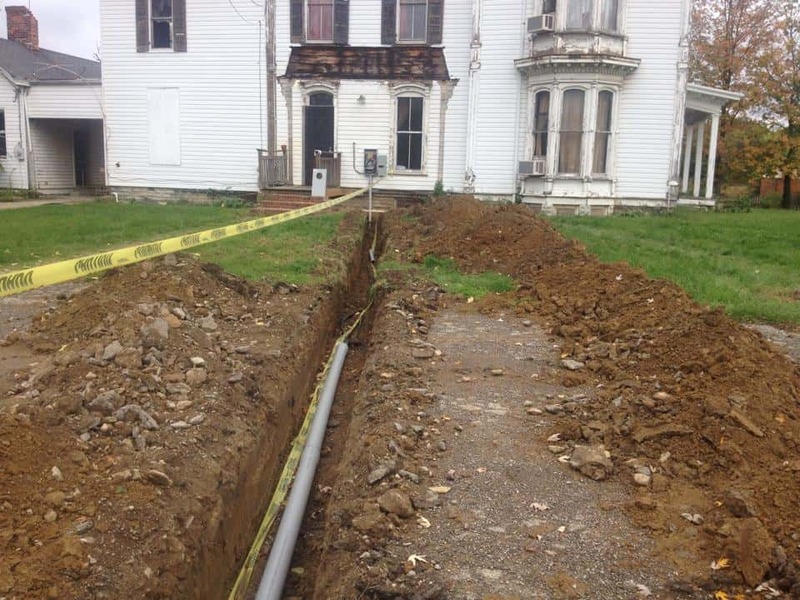 We do underground services up to 1000 amps! This is a parallel 200 AMP X 2 sets of wire service installation. 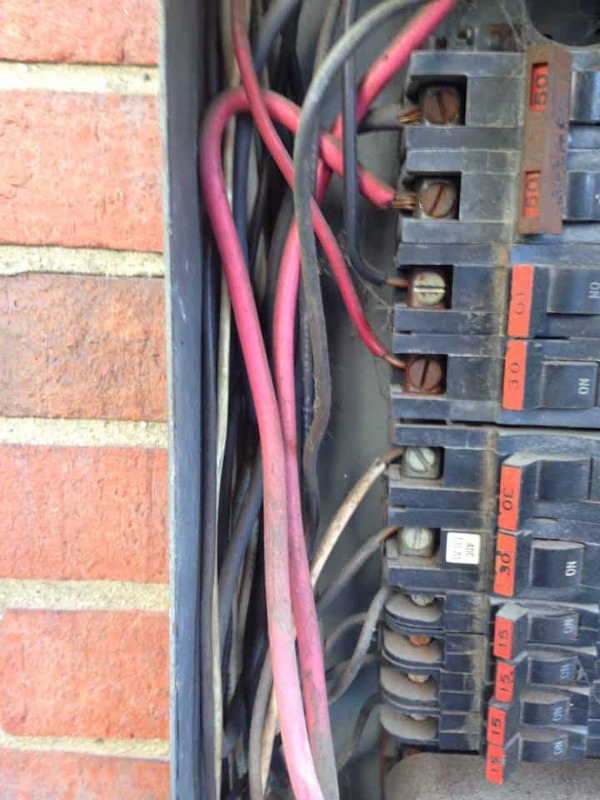 The wires run 24″ below grade and attach to a meter socket on the building. The wires are then fed to (2) 200 AMP panels or other distribution means depending on the requirements of the building owners.